I’m Appearing at The New School on February 28! Hi! 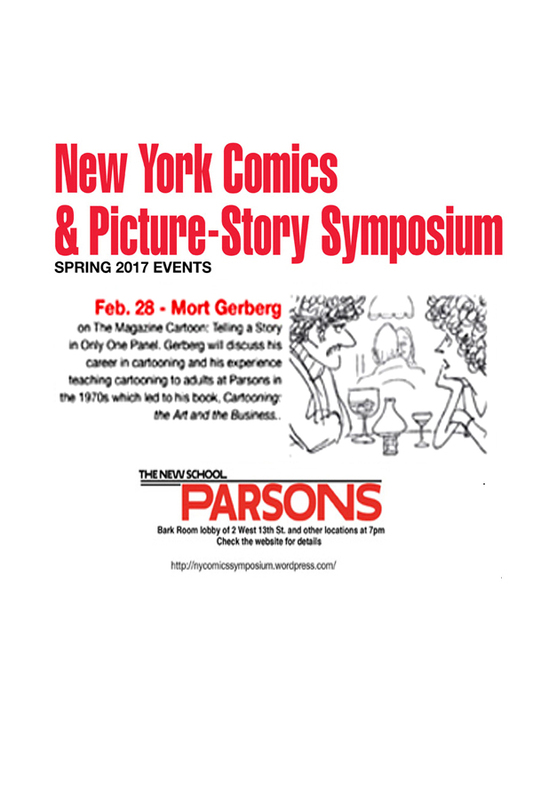 Just to announce that I will be speaking — on “The Magazine Cartoon: Telling a Story in Only One Panel” — at the long-running, prestigious New York Comics & Picture-story Symposium, on Tuesday, February 28, 2017 at 7pm at Parsons School of Design, 2 West 13th Street, in the Bark Room (off the lobby beyond the entrance). Admission is free and open to the public.